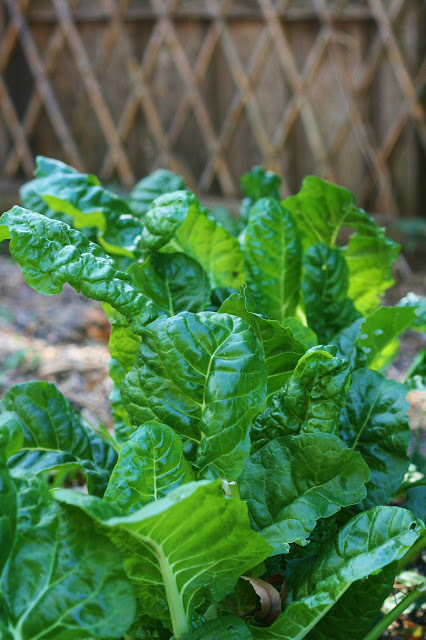 We have so much beautiful silverbeet in our garden at the moment. It grows so easily, almost all year round. I love having it there just doing its thing, looking gorgeous and proving itself to be so handy when the fridge is bare. I pop a few leaves of this into almost every main meal I make. Chopped up finely, no one knows it’s there. I even hide a leaf or two in the kids smoothies in the morning! Here is a version of cannelloni which my family love. I use silverbeet, of course! 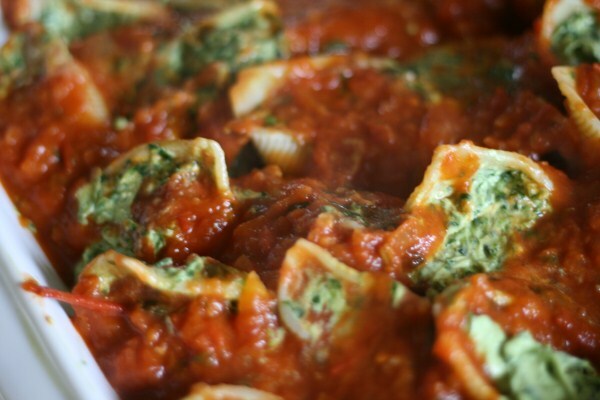 You can use the base of this recipe to make traditional cannelloni or even just to stir through pasta bake with some other vegetables thrown in, but I really love these shells. They look so much more interesting and are a whole lot easier to stuff. Premill Parmesan cheese Sp10/10secs. Set aside. Repeat with tasty. Bring a large saucepan of water to the boil over hotplates. Into TM bowl, place onion and garlic and chop Sp5/7secs. Scrape down bowl and add oil. Saute 2mins/100’/Sp 2. Add spinach leaves and herbs and chop Sp 7/7 secs. Add egg and ricotta, Parmesan and nutmeg and stir into mix Sp4/10secs. Set aside and go on to make the pasta sauce in the TM bowl. 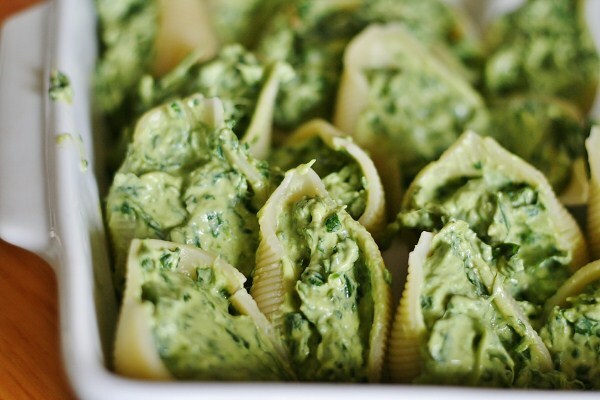 Spoon spinach mixture into shells and arrange in a slightly oiled baking dish. 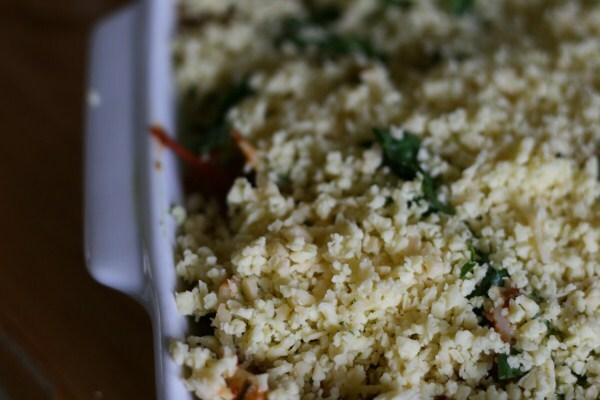 When all the shells have been filled and arranged into baking dish, pour the pasta sauce over the top, sprinkle with cheese. Place in an oven at 180’C for 25 minutes or until cooked through. Serve with garden salad.